Anytime you receive services wether it be cable, plumbing, heating & A/C, or any other type of service you expect to have a company and person you can trust. No one wants an untrustworthy company in their home because who know what could happen. You never what could happen from things going missing to over charging to pushing additional services you don’t want or need. Being put in these type of situations is not only uncomfortable but also frustrating! You deserve to have your home serviced without any hassle or headache. Local and family owned and operated company you can trust. They do not hire people they wouldn’t trust in their home or around their family. They are a no pressure sales environment so you won’t ever feel like you were pushed or forced to purchase something you didn’t want. The only time a Beyer Carpet Cleaning tries to sale any additional services is if they see or feel you could benefit from the service. For example, if you have pets you may need special pet treatments or if you have red stains you will definitely need dye removal services. These services are offered because of the status of your carpet and not because Beyer wants to take you for all you got and if you don’t want it they won’t push the topic. In the time Beyer Carpet Cleaning San Antonio has been servicing the city of San Antonio they have not had one case of a technician stealing from a customer. They have not had one complaint about their technicians because Beyer Carpet Cleaning only hires trustworthy people who work hard to take care of the customer. Customer satisfaction is Beyer’s main goal and they wouldn’t want to do anything that could compromise this goal. There are so many carpet cleaning companies in San Antonio who offer the same great service that Beyer Carpet Cleaning offers but there is one thing that separates Beyer from the rest. 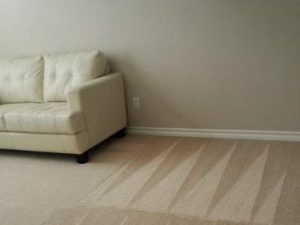 Beyer Carpet Cleaning believes in only offering fair and reasonable prices to accompany their great customer service. Their prices are usually half the cost of their bigger competitors and Beyer provides the same quality of service if not better. So when you are searching for a caret cleaning company to service your home call Beyer Carpet Cleaning. 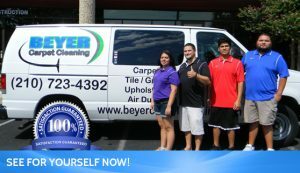 Beyer Carpet Cleaning is a name you can trust with people you can trust. They won’t overcharge or over sale. They will only offer the best because you deserve the best.